Part Used : Heart Wood, Leaves,flowers. Habitat : The drier, hilly zones of dry deciduous forest. Uses : The heartwood of pterocarpus marsupium is astringent, bitter acrid, anti inflammatory, anthelmintic and anodyne. It is considered magical for diabetes. It turns the water blue as soon as it comes in contact with the water. It is good for elephantiasis, leucoderma, diarrhoea, dysentery, rectalgia, cough and greyness of hair. 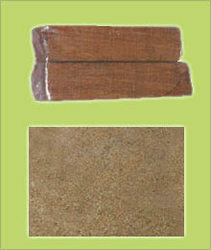 The bark is used as an astringent and in toothache. The bruised leaves are considered useful as an external application for boils, sores and skin diseases.